Carrier has been an HVAC industry leader for over 100 years, and their innovative engineering and manufacturing capabilities are reflected in three distinct series of heat pumps designed to meet every budget level and performance expectation. Carrier VS Bryant: What’s the Difference? How to Get the Best Carrier Heat Pump Prices? Carrier incorporates several advanced proprietary technologies in their heat pump line that continue to distinguish them from their competitors. GreenSpeed Intelligence: The GreenSpeed Intelligence System is available on the Infinity 20 heat pump model. The technology integrates a variable-speed compressor, a multi-speed ECM blower motor and advanced controls to provide exceptional comfort and low operating costs. When matched with the Infinity Series Control Center, the Infinity 20 makes constant real-time adjustments to the speed of the compressor and blower to precisely track outdoor weather conditions and the indoor cooling or heating load. This results in extremely quiet operation, even temperatures in every room and minimal power consumption, especially in relatively mild weather. Superior Noise Reduction: The Infinity VS series incorporates the Silencer System II. This compact ECM fan motor has a forward-swept fan blade design, a silencer top, a split-post compressor, an isolator plate and a sound hood to minimize vibration, maximize airflow and reduce operational noise. Hybrid Heat Options: Carrier’s hybrid heating system combines two heating technologies into single unit. When paired with the appropriate thermostat, all three Carrier series heat pumps can be matched with a compatible furnace to maximize efficiency in all weather conditions. When the outdoor temperature rises above 40 degrees Fahrenheit, the heat pump engages and provides economical warmth. As the temperature drops, the furnace takes over since it’s more efficient in extreme weather. Purchasing a Carrier hybrid heating system provides the lowest operating costs in the fall and winter seasons. *The COASTAL is designed for the homeowners who live near the sea with salty water to be dealt with. • Comfort Series: The Comfort Series is targeted for the budget conscious consumer. Models are available with efficiencies up to 15 SEER cooling and 8.5 HSPF heating. Every condenser includes a single-stage compressor, WeatherArmor protection and a 10-year limited parts warranty. • Performance Series: Designed for the mid-level market, the Performance Series offers quiet and reliable operation with efficiencies up to 17.5 SEER and 9.5 HSPF. Performance Series models include all of the features in the Comfort Series plus two-stage compressor options. • Infinity Series: The Infinity Series represents the ultimate in advanced heat pump operation. Seven different models have efficiencies that range from 15-20 SEER and 8.5-11 HSPF. The condensing units are equipped with two-stage or variable-speed compressors for the ultimate in efficiency and comfort. In addition to all the Performance Series features, the Infinity Series includes a sound compressor blanket, ultra-low noise ratings, an attractive low profile and precise humidity and temperature control. 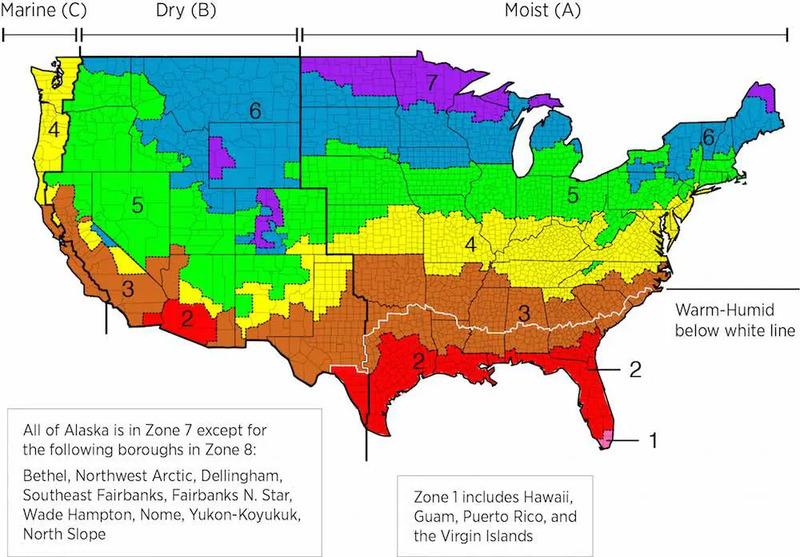 Note: In Zones 6 and 7, the coldest zones, a system with an efficient gas furnace and small central air conditioner is also a good option; Carrier is one of the premium brands with higher initial cost. If you have the plan of moving house in less than 5 years, we recommend installing some quality but low-end level brands like Payne, Ruud or Armstrong. Looking for more budget brands? You can check our heat pump brands guide. We found some readers submitting questions about Carrier VS Bryant. Actually, Carrier and Bryant share 90% models with different model names. For the shared models, the units are 99% identical except for the logo. If the 2 brands come from the same installer, choose the cheap one. If they are from different contractors, the price is not that important. Compare the installer first! As we stressed many times before, installation is the most important part of your HVAC system. It is worth paying more for a good contractor. Trane, Carrier and Lennox are 3 biggest brands with top numbers installation. The difference is that you can easily find Carrier parts everywhere, Trane has a few more parts which are exclusive and for Lennox, sometimes it is pretty challenging to find an exact parts for nearly all models. Going through a good number of reviews from customers reveals that Carrier does not vet its contractors much. For instance, some claimed that they received a heat pump with a lower SEER rating than promised. Generally, the burden contractors seem to have been left to customers. One should be careful when installing a Carrier, make sure to have some background information to avoid being swindled. Some of the customers were greatly motivated by the Federal tax breaks. However, it is important to note that it only applies if one owes the government taxes. Some contractors were revealed to be taking advantage of this to make a quick profit. By not informing customers that the $1500 dollar tax breaks applied to only those who taxes. This left some very disgruntled customers. However, most still claimed they would have bought the heat pump anyway. This was because it was so efficient and was helping them save a lot of money on their bills. After going hundreds of customer reviews, it became clear that the system is quite efficient. There’s a great decrease after having replaced the previous model by Carrier. We have interviewed some qualified contractors and most of them reflected that Carrier has a better noise control for than the Trane, Lennox and Goodman etc. But don’t get they wrong. They mean that the average sound level for all the Carrier’s product line performs better. If you want to find the quietest model in the HVAC market, Trane’s XV20i is the King with 54 dB. Each system includes: 3 ton outdoor condenser, 1300-1500 cfm air handler, programmable heat pump thermostat. Each Unit includes: Carrier Performance 15 SEER 3-ton outdoor condenser, Carrier 1300-1400 cfm air handler, Carrier programmable thermostat. Includes 4 ton Carrier heat pump, air handler, air bear filter and Carrier humidifier. Also included custom duct work, oil tank removal and moving of the outside compressor from the original spot in the backyard to a spot on the side of the home. Initially, when the unit was installed, it had a faulty fan motor. However, the problem has since disappeared. The heat pump continues to function quite well after installation. Apart from the incident with the fan motor, there are no major issues to report. I would definitely recommend this system to anyone wants to upgrade his or her HVAC system. After days of intense research last fall, I decided to purchase a Carrier performance heat pump. I took my time to research a good HVAC contractor. This was after hearing of horror stories people have had with bad HVAC contractors. Since it was installed, it has continued to function flawlessly. I would definitely recommend it to anyone seeking to install a heat pump. I live near the coast, thus I needed a heat pump that would disintegrate due to the salt. After a brief internet search, I had already decided on the Carrier heat pump. The system continues to perform superbly. I would definitely buy another Carrier; the build quality is impressive. This Carrier has the lowest SEER rating. However, the electricity bill to my home has gone down by more than half since I installed it. I suspect my last, old heat pump was operating at a lower SEER than it was claiming. The Carrier has so far impressed me two years after installation. I bought a new Carrier Comfort system after the last unit, which came with the house, broke down. The repair costs would have been quite high, since the warranty had already expired. Since I installed the new system, my house has become noticeably quieter. It does not vibrate as it used to before. I love the performance of this Carrier model. I will definitely be recommending it to family and friends who want to install a heat pump.